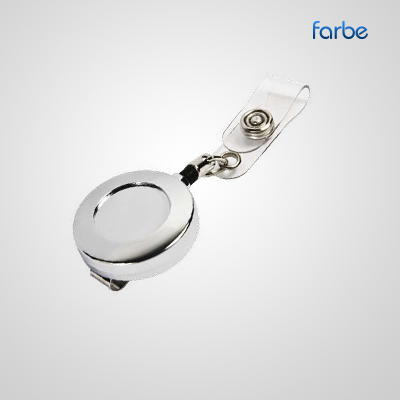 Badge Holders – Metal retractable reel badge holder in metal with a 24” nylon cord and clear pvc strap. Comes with a fixed clip on the back. You might be running a conference and need name badges and tags for all the delegates. Or maybe the security demands of your place of work mean that all guests need their ID on show at all times. 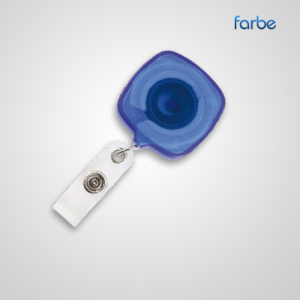 Whatever you need ID card holders for, we’re got the complete range, with accessories, ready to buy in bulk. Lanyard type ribbons are preferred by some as they don’t have to be clipped to clothes, but we also stock clip fasteners that are gentle on fabrics. 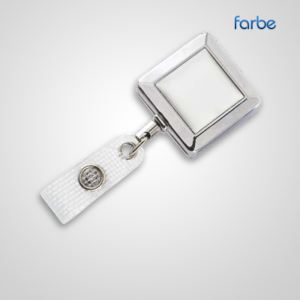 Our retractable reel fasteners are popular for when a security pass needs to touch a wall-mounted sensor, stretching out to shoulder-level and self-winding back into the spool. 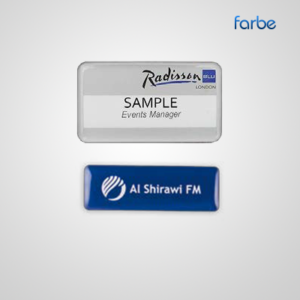 But all our pass and ID holders are high quality and perfect for the task in hand.